Star Trek Online’s Research and Development system seems massive and somewhat daunting. Because of this, the STO team has crafted a rather lengthy post explaining how some of the finer details of the system work. 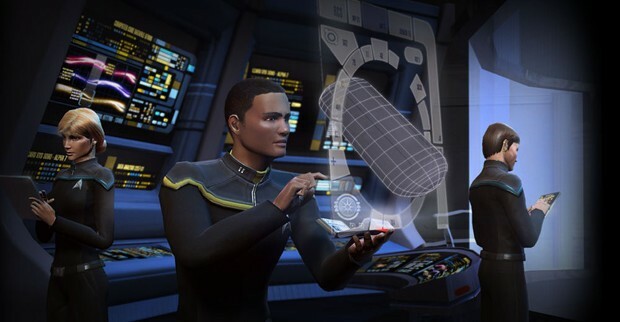 Research and Development (or R&D) allows players to craft devices and equipment using materials and components harvested from anomalies located throughout the game. The creation system consists of three steps; gathering materials, creating components, and final assembly. The quality of the item created is random and based on the player’s Skill Level. Players have 7 different R&D schools to learn from and will be able to level up in the schools thereby increasing the quality of the items they create. There are two special schools in addition to the creation ones — an Officer Training School, in which players will learn the ability to craft Bridge Officer Training Manuals, and the Special Projects School devoted to Event specific recipes. The creation schools include beams, cannons, projectiles, engineering, science, shields, and ground weapons — all of which can be read about in full in the blog post. Not a surprise there are still people who can’t even use this water downed version of the crafting system..